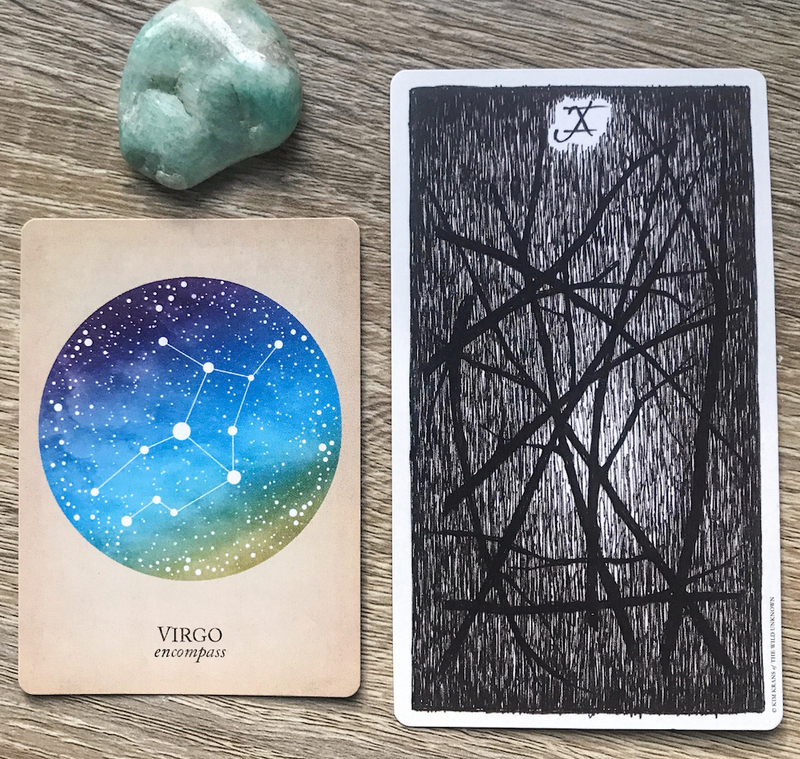 If astrology is similar to mathematics, with its nuanced structure and deep analysis of aspects and angles, tarot’s intuitive nature and endless exploration make it more like theology. Both practices can take a lifetime to master, have seemingly infinite subtleties, and give us insight into who we are and how we move through the world. 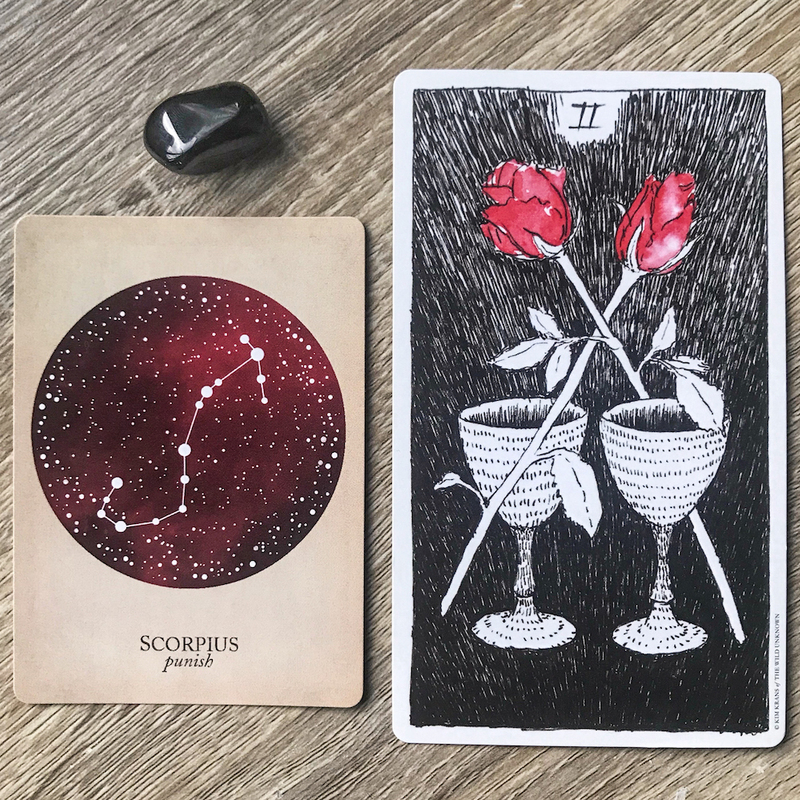 Both practices are also intensely personal, with astrology often explaining so much about our behavior and preferences while tarot can deliver surprisingly cutting honesty about our current situations and choices. 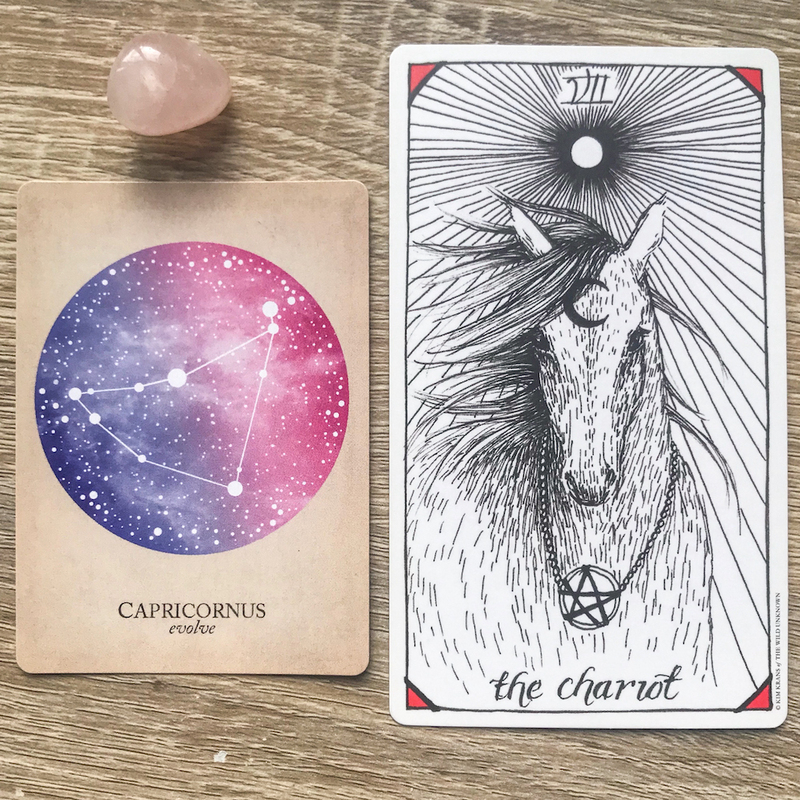 But while our birth charts and times are unchanging, and the movement of the planets are beyond our control, tarot pushes us to look within on our own, to dive deep within our subconscious and consider our personal responses to the archetypes and stories contained with the cards. Combining these two complex practices can give us further insight into what’s happening in our daily lives, how these events impact us, and what we can do to move forward and succeed. Tarotscopes combine the knowledge of the major and minor tarot archetypes and symbols with astrological awareness, reading and interpreting cards for each of the twelve signs of the zodiac. 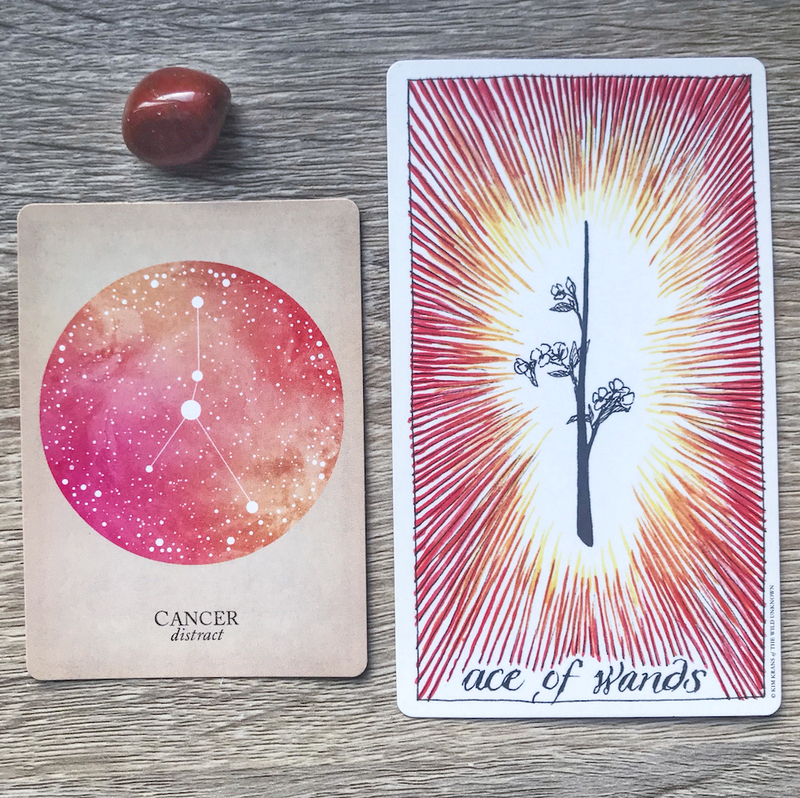 Using this format levels the playing field a bit, giving tarot newbies a chance to slowly understand the meanings of individual cards while more advanced readers can read for multiple parts of their astrological chart to gain a deeper and more nuanced understanding of their current place. 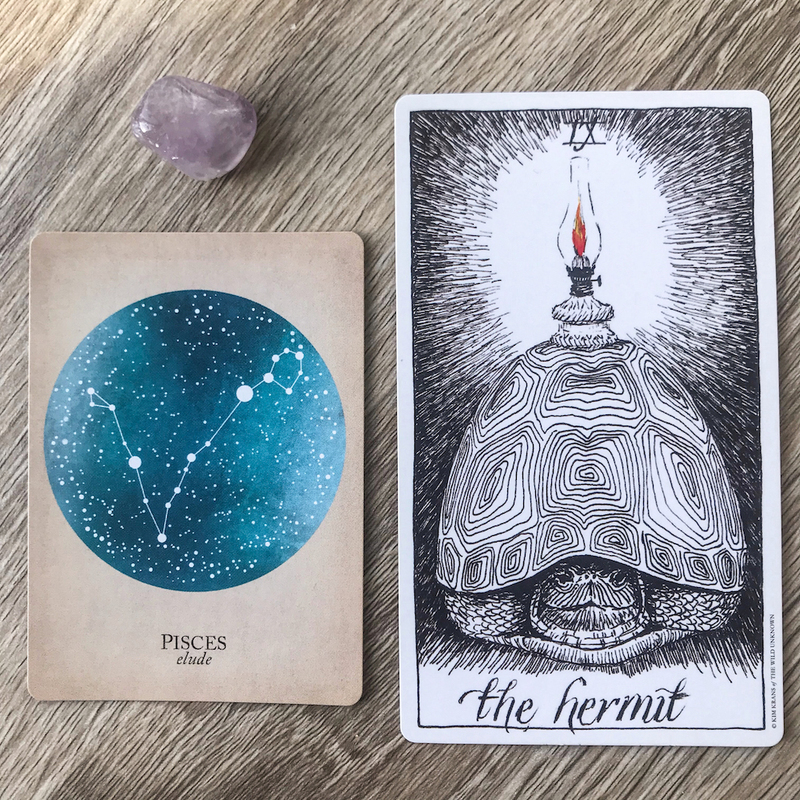 I’ve been reading tarot cards for about three years, both for myself and professionally, and using the insight from the cards in tandem with deeper awareness of astrology has broadened my understanding of what we can learn from each practice. As Aquarius season dawns, knowledge of this sign’s birth card can be useful for everyone. The Star is a beautiful card brimming with hope, renewal, and positivity. 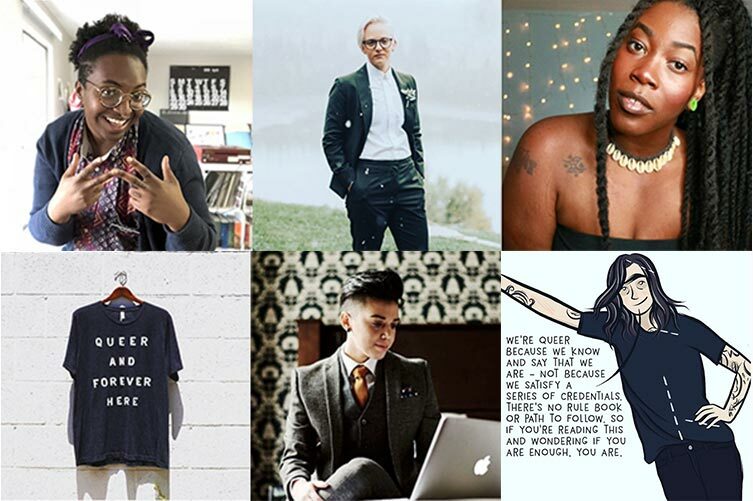 We’re stepping into 2019 in earnest now, fully leaving the previous year behind, establishing new habits and dreams and working to imagine a brighter future. Although our struggles and concerns may not be completely resolved — in fact, we may not have the slightest clue how to move forward into this new year — this card’s energy brings healing and a deep trust in the self. In spite of our uncertainty, we believe that we have the strength and grit and potential to get through it all anyway. In the major arcana, The Star appears right after the chaotic destruction of The Tower, a card that many of us would use to describe 2018 in earnest. Everything has been shaken apart, burned beyond recovery, and we are slowly healing and rebuilding something new. This is a card of intense peace, a reminder that in spite of everything we’ve been through, we will continue to grow and learn. Aquarius the water bringer is ruled by Uranus, the planet of independence, rebellion, and freedom. 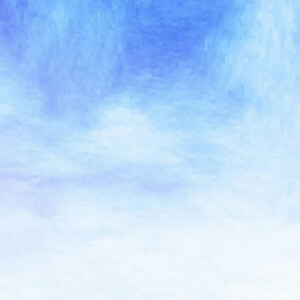 It’s also connected to the King of Swords in the minor arcana, a powerful figure of fixed air that relies on the mind and a socially conscious nature to make quick decisions that prioritize movement and strong ideals. This ruler of truth wields their intellect and power wisely, considering every option on its merits and working to ensure that justice and equality are present in each decision. This combination of optimism, passion, and determination make this a powerful season for healing, change, and hope. 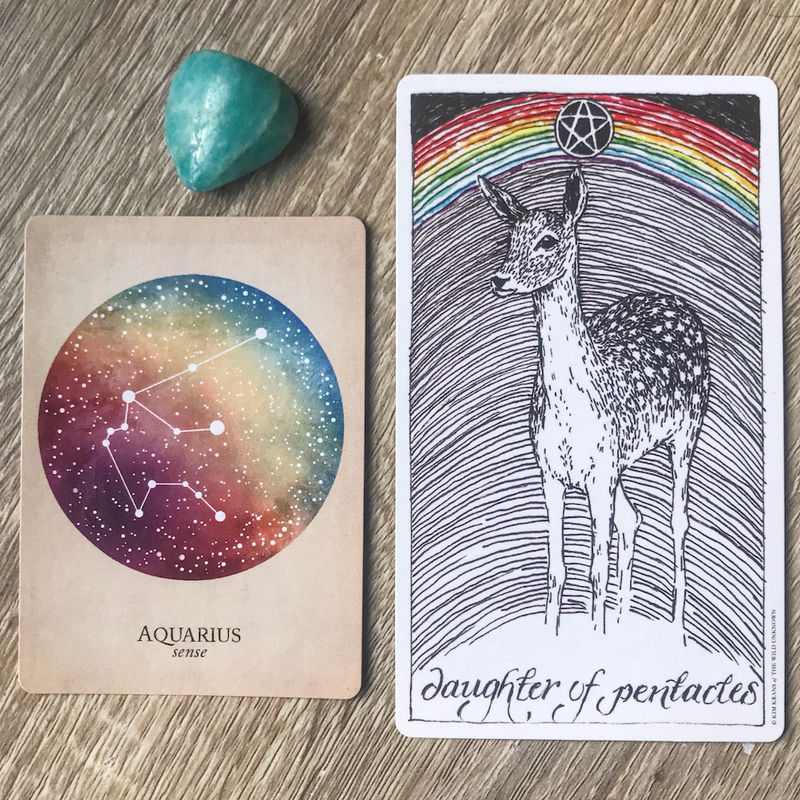 In this time of Aquarius, keep her birth card The Star in mind as you read for your sun sign — combine that healing, positive energy with whatever the cards have for you during this period. Experienced tarot readers or astrologers can combine cards from their sun, moon, rising and Venus to create a custom spread for this month. 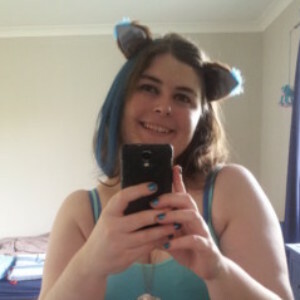 I offer free weekly general readings on my tarot Instagram account and am also available for personal and custom readings online through my tarot website. The start of a new year and a new astrological season are always great times for additional insight as we set goals, evaluate our progress, and look to the future. 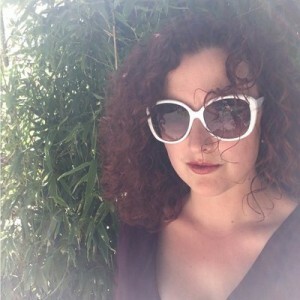 Feel free to shoot me a note anytime — I’d love to work with you or talk tarot. You’ve been working so hard, learning and pushing and collaborating, and it’s all starting to come together. Real growth has become tangible; you’re reaping some of the benefits, and joy is spilling into your life. Take some time to celebrate! 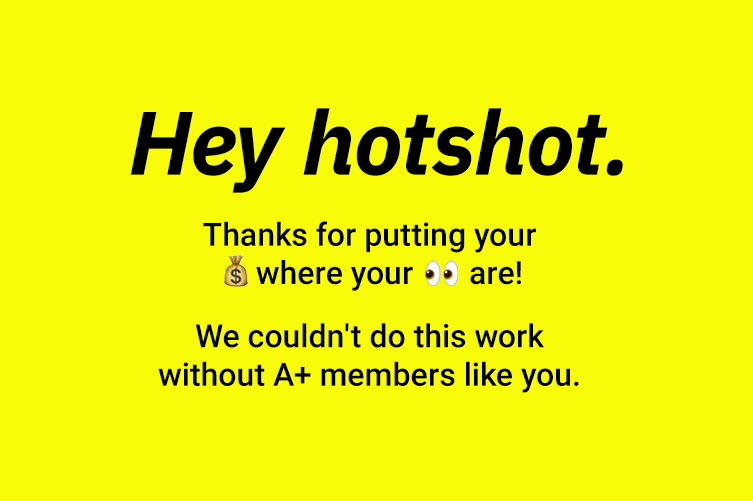 Your independent spirit and utter badassery have helped you push yourself beyond what you thought capable, and all that hard work is paying off in a big way. Pentacles are the suit of earth, patient and quiet and hardworking, and combining that power with your naturally fiery determination makes for an intense and unstoppable force. In your success, though, remember humility and generosity. 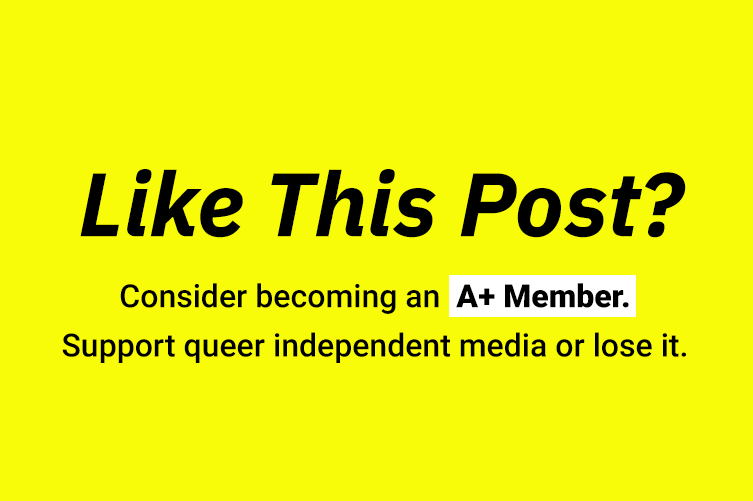 Perhaps someone gave you a hand early on that could use your support now; perhaps you’re aware that you may still need a little help in the future. Resist your natural tendency to push others aside and instead channel a spirit of collaboration and kindness. You might be able to do it all yourself, but that doesn’t mean you should — pentacles often speak to growth together and taking strength from others, in addition to personal power and drive. You can learn a lot by opening your mind and seeking input from those that you trust, and embracing the reciprocity of this card can help you find balance and peace. You may find yourself needing to make an important decision during the coming weeks, one that will have a big impact on your life moving forward. Your grounded nature and tendency towards caution could cause you to step back and be unemotional about this decision, reluctant to take a risk or put your heart on the line. 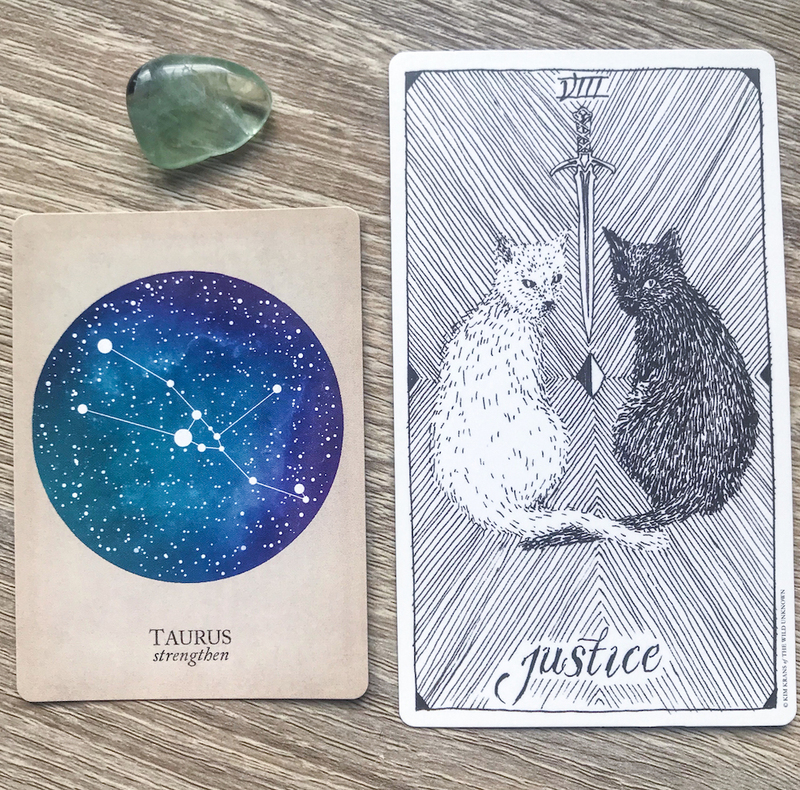 But justice isn’t always just about what’s most fair or “right” — rather, this card often asks us to consider our own personal ethics and morality, to make the choice that feels right for us. Pay attention to both your head and your heart as you navigate this decision, and give yourself credit for the innate sense of justice that you already possess. You have a strong awareness of internal power and fairness, which will serve you well as you move into this period of decision and potential change. Let your internal compass guide you forward, and be attentive to warning signs or flashes of insight that may come your way. Try to resist the urge to double down on past decisions or be stubborn about progress; it may be time for a shift that makes space for growth. The seed of an idea that’s been building in your heart and mind is ready to be planted, Gemini. Carefully consider your vision for the future, your imaginings of what is ahead, and take the first steps to achieve it. Pentacles are the suit of earth, and while movement here is slower than in other suits, with patience and persistence these ideas can come to fruition. This is the time to start that big new project, look for that new job, start saving for that new house — it’s a chance to begin something that will take longer to create but has the power to shift so much of your future. 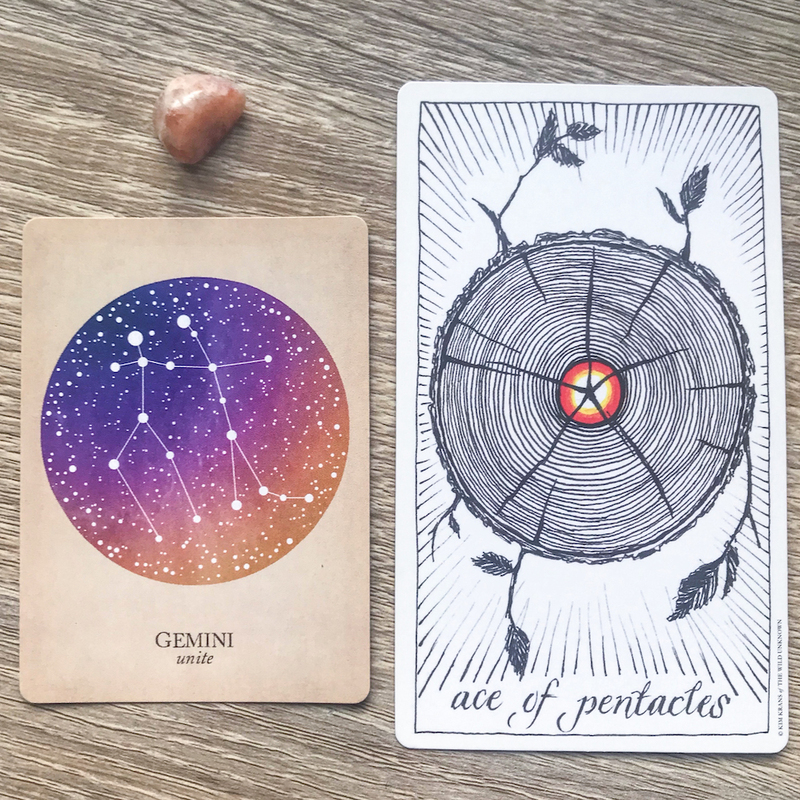 Different than your creative aspirations or quick projects, this ace asks you to dig deep and lay the foundation for something that will take time to flourish. It may be tempting to overthink this, to rush forward and try to get as much done as possible. You are a soul that values constant shifts, that is always juggling new ideas, that loves having multiple projects in the works. But the suit of earth asks us to move slowly, deliberately, to not get ahead of ourselves. Work to be patient and thoughtful as you begin this new something, and try to rein in your natural tendency to see action and movement as synonymous with progress. This project will be most successful if you allow it to be a long-term one. This Aquarius season will have you bursting with energy and inspiration, eager to take on the world. A powerful new idea or intense creative fire will capture your focus, potentially distracting you from other parts of your life. Enjoy the endless potential of this feeling, the power and passion and excitement of this new project, but don’t get so caught up in the fire that you lose sight of what it could become. This energy can be intoxicating, but unless you channel it into something tangible, eventually the fire will burn out and could leave you with nothing to show for it. Wands are connected to the soul, the passions that drive us and give us purpose. 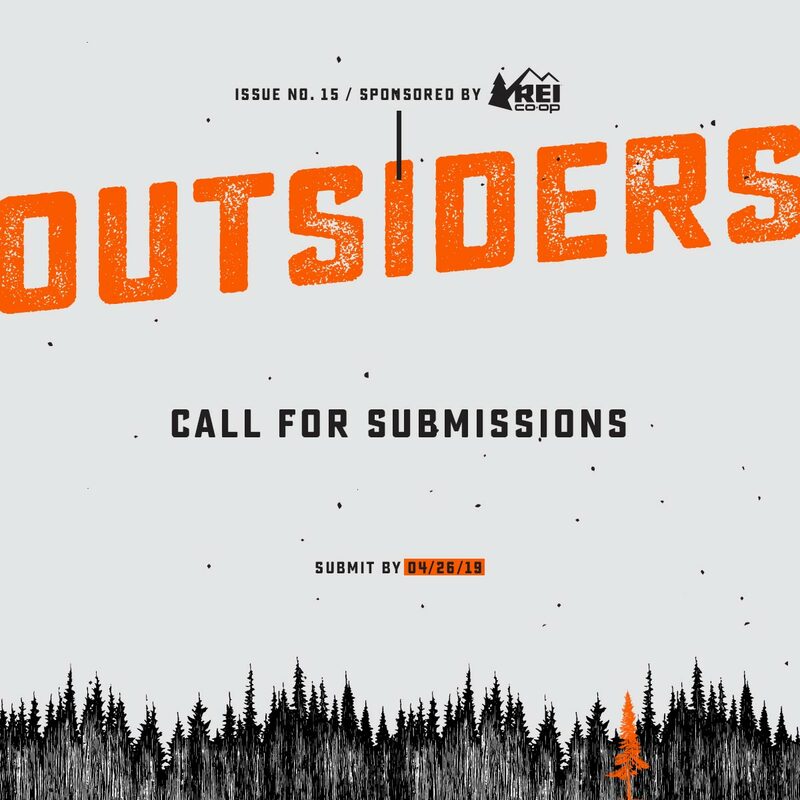 This may be a formidable project for you, one that channels your innate creativity, your deep sensitivity, and the intensity you carry within. Don’t shy away from the heat and the fire — rather, embrace this opportunity to build something you feel truly connected to, to create something that reflects who you are and what you crave. Passionate, loyal, and intensely driven, this queen of fire is fierce and powerful — just like you. This season, you may find yourself being more protective than usual, jealously guarding your creative projects or craving time with trusted friends and family members. 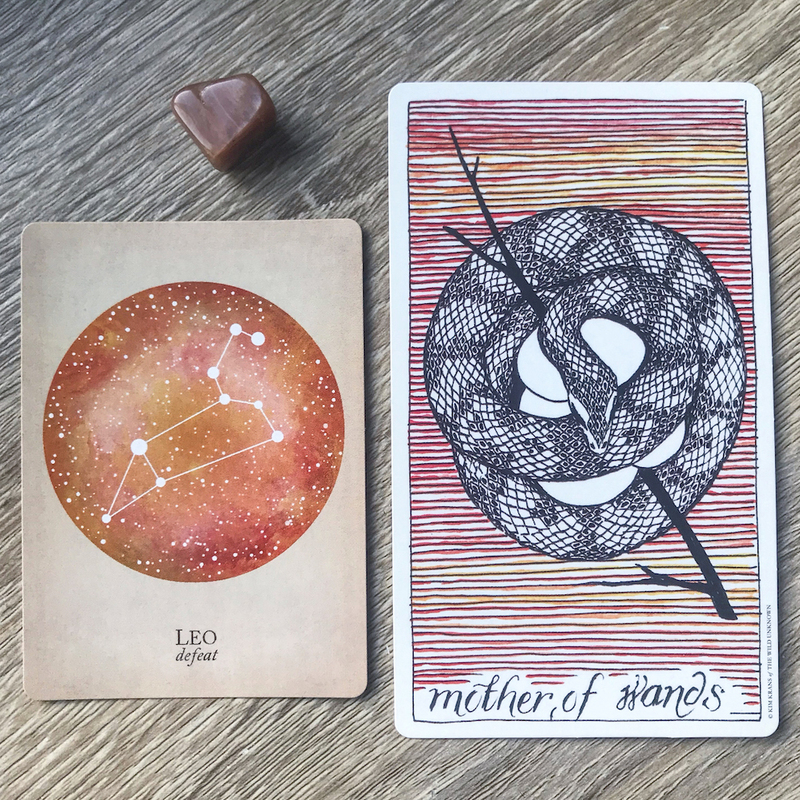 While Leos are often compared to the Father of Wands, the charismatic king of fire, seeing the Mother here is an indication that you may need to spend some time exploring internally, reflecting on your personal passions or visions for the future. This card also could be asking you to channel all your fire into an internal project, something that reflects your vision of the world or builds on a creative idea that you’ve been working on. Take stock of the dreams that you may have pushed aside — it may be time to revisit something that will give you renewed passion and energy. This could be a chance to shine brightly, to showcase your talents and abilities in a new and personal way. Perhaps you’ve been stretching yourself too thin lately, or you’ve been saying yes to absolutely every project or opportunity that comes your way. Perhaps you simply have taken on too much, trying to be everything for everyone. Wherever you are, you are rapidly approaching burnout. Your innate practicality and deep work ethic have allowed you to push yourself hard, but even you, dear Virgo, cannot do absolutely everything alone. Take a step back, practice a little self-care, and prioritize the projects, responsibilities, and tasks that are on your plate. It’s not failure to recognize what you need to do to be your best, and this is a time for paring down your to-do list. It may feel that your creative spark has dwindled, or that you’re stuck and can’t move in any direction. Be gentle with yourself, and ask for help if you need to. You don’t have to give up anything, but you can put certain tasks to the side for a time and focus on the most important things. It is not failure to shift your priorities or to care for yourself. A recent project or idea is starting to make real progress, and you’ll start to be able to envision a clear future for yourself. Creativity is flowing, you’re working in harmony with a trusted team, and things are starting to come together in a beautiful and exciting way. What may have started as an idea without an end goal is beginning to take shape, and you can see a purpose and lasting power in the tasks you have before you. Keep going! There’s beauty and strength and deep potential here, so celebrate the progress you’ve made and continue moving forward towards that strong vision ahead. This card can also speak to boundaries, learning to see beyond what is expected, so keep an open mind as you move through Aquarius season. There may be opportunities for expansion, new collaborations, or simply fresh ideas that cause you to shift your perception of your end goal. But try not to get so distracted by every option that you stop movement forward, or get lost in those people-pleasing tendencies. Your vision for the future can shift, but don’t change it completely — you are already on a good path. You may find yourself in the beginnings of a new relationship this season, whether it’s romantic, sexual, or the start of an intense and important friendship. You have a natural tendency towards privacy and secrets, preferring to keep your emotions and experiences deeply hidden, but try to slowly open yourself to possibility. This relationship will be as important as you let it be, and could offer potential for internal growth as well as emotional or spiritual connection. If you’ve been feeling isolated or lonely lately, this attachment may feel particularly intense. It’s okay to be cautious about letting someone new in, but be kind with yourself and try to welcome this new relationship into your life without dominating every part of it. In addition to a connection with another person, you may also feel some sparks of passion and emotion within yourself. This feeling of a powerful new beginning may become impossible to ignore, so don’t! Allow yourself to gently explore these emotions, to listen to your heart and be willing to take a chance — even if it’s a small one. You cannot control everything, and sometimes taking a risk is necessary to grow. 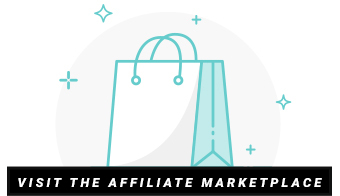 A major shift is on the horizon, one that may take you by surprise. 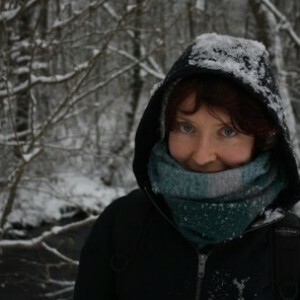 Your natural curiosity and desire to understand the world around you could make this an exciting challenge rather than a frightening change, but be prepared to take a step back and reassess your personal foundations. Don’t be afraid to ask for support if you need it, as it may take some time for you to find your footing after the dust has cleared. You’re a born explorer and are always searching for deeper meaning, so this card may be an indication that you’ll experience a personal breakthrough of some kind. Whether emotional or intellectual, give yourself time and space to process this, rather than rushing into analysis or breezing past it to find the next new thing. This is a time of deep transformation and change, one that is essential to your forward progress. Honor this shift and take the time to gently, slowly heal. The Star’s renewing energy will be especially useful for you as you move through this important and often difficult phase. A project you’ve been working on for some time is nearing the finish line, and you will find yourself bursting with energy, focus, and determination. Everything in you may feel like it’s straining towards that final goal, and you’ll push yourself hard to complete this big task, project, or deadline. Channel all of that power and passion into reaching this major goal, but don’t forget to stop when you’re done! 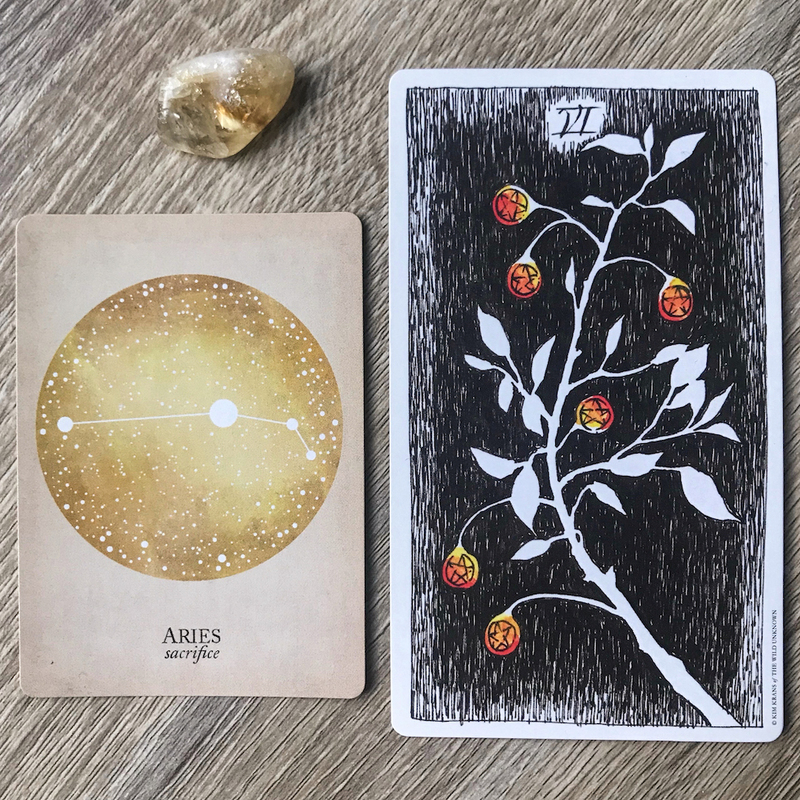 Your natural tendency towards hard work and dedication pairs beautifully with this triumphant, confident energy, but it’s important that you know when the thing is finished and that you step back to celebrate and recover. The forward movement of the Chariot is intensely powerful, and is not sustainable for long periods of time — don’t let it overtake you. Recognize when you’ve completed your goal and reached your limit, and then take the time to reflect on everything you’ve accomplished. You are allowed to take a break to recover and celebrate before you need to start moving again, Capricorn. Enjoy this triumph. Happy birthday, Aquarius! Your birth card of the Star, filled with healing and hope, pairs beautifully with the curious, joyful, adventurous spirit of this child of earth. Eager to learn and unafraid of mistakes, this card asks us to be present in the moment, explore the possibilities ahead, and be open to new adventures and methods. Your natural rebelliousness and desire to improve the world around you will serve you well as you take chances with current projects and consider risks in future ones. Take time during your season to enjoy nature, reconnect with your physical self, and celebrate the beauty in the world around you. You spend a lot of time and energy looking forward, but try to simply enjoy each moment that you’re in, connecting with others and strengthening your own resolve. You are beginning another year of innovation, compassion, and conviction — move into it with a respect for the present and your own optimistic vision of the future. You may find yourself seeking more solitude than usual this season, called to introspection, quiet, and meditation. As well as spending time alone with your thoughts and shadows, this card often asks us to physically retreat, taking time away from our usual habits and routines to look critically at ourselves. Your natural sensitivity and willingness to explore the spiritual realm could make this an appealing task, but be careful to stay grounded and not get overwhelmed or lost in your subconscious. This card asks us to seek deeper understanding of who we are, not to get lost in possibility or fantasy. While your sign is ruled by Neptune, the planet of creativity and dreams, the Hermit is ruled by Mercury, the planet of speed and communication. 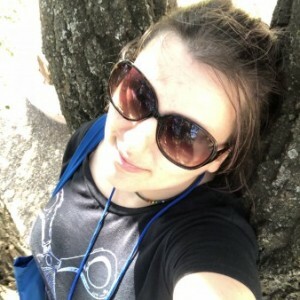 You may find that writing, music, art, or other creative outlets will help you explore the core of who you are, and keep track of the deep truths that you uncover. Give yourself plenty of time, space, and patience, and be gentle when you decide to come back to the world. This can be a major task, but it’s one that will both challenge and heal you. 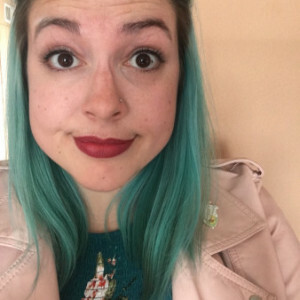 Meg has written 4 articles for us. MEG! I love these so much. 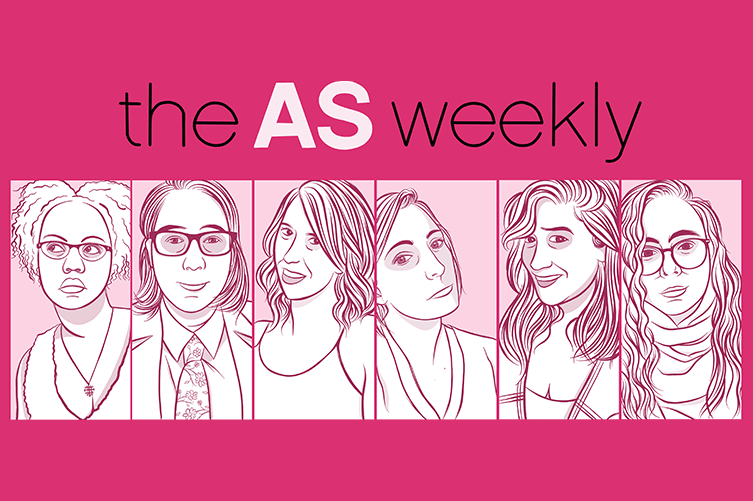 I am so thrilled you’re doing ‘scopes – I adore your Instagram (and you). These are just so thoughtful and on point. My Capricorn & Aquarius ‘scopes were so resonant, and so moving. Thank you! I love your pictures for each sign, they are composed beautifully! Which steps am I to follow? 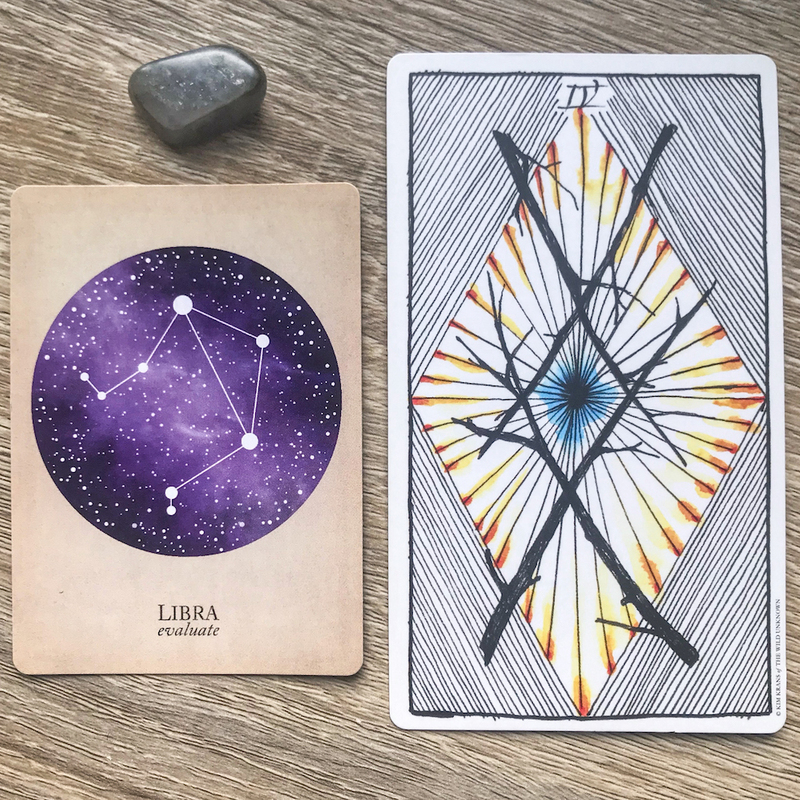 Should draw cards for my sun, moon, rising and venus-sign? And then? Or just reed what you wrote about my resp. signs? thank you so much! definitely read the scope for your sun sign, and if you know your moon, rising, and venus, i’d read for those too. 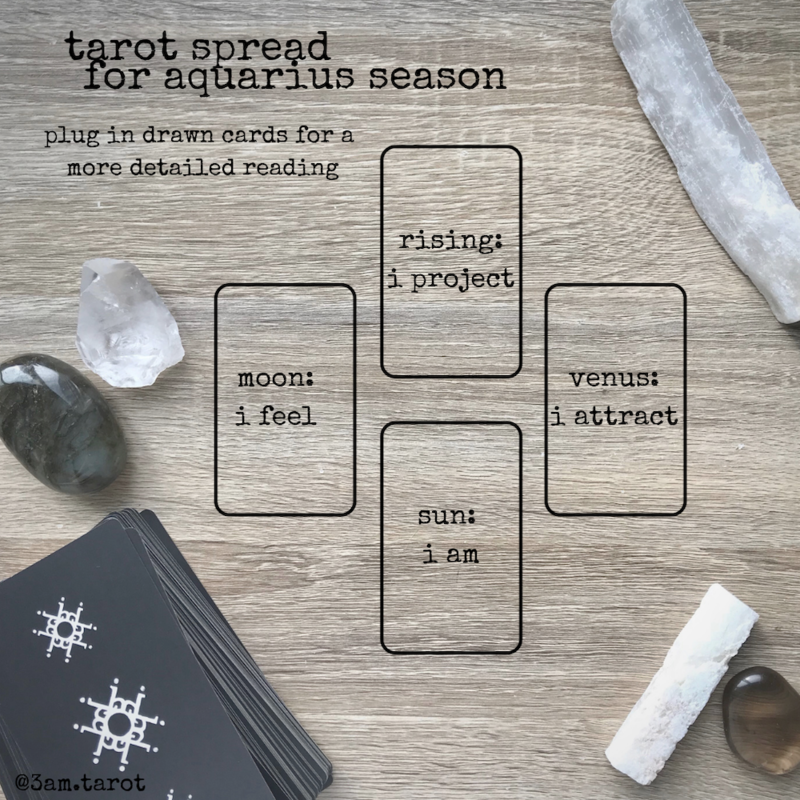 then if you like, you can plug in the cards i drew into the spread for a more in-depth look at your scopes for aquarius season. hope this helps! 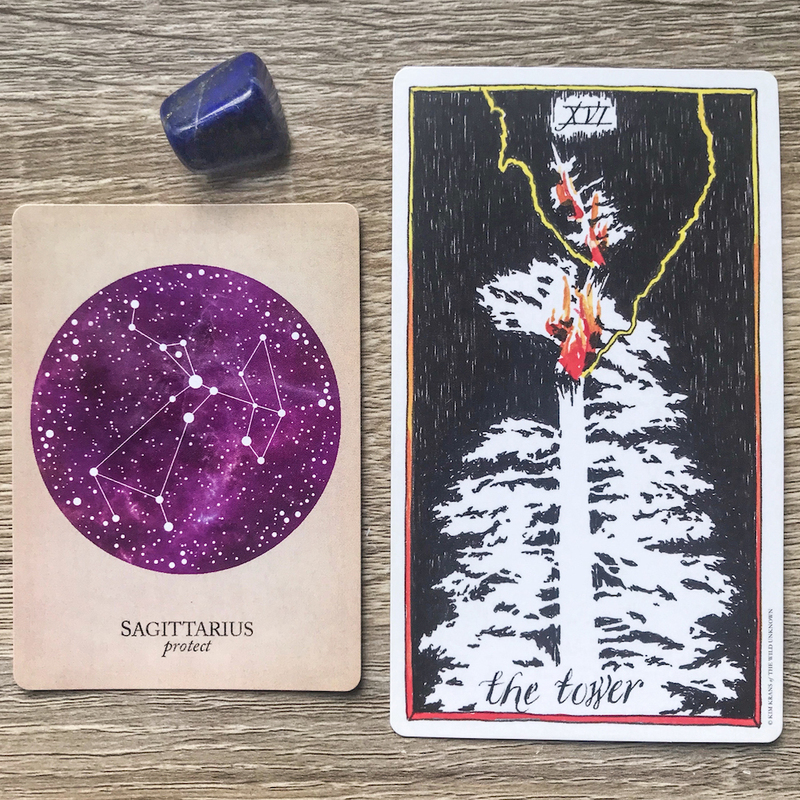 As I am new to tarot let me just ask: The plugging in will then let me consider the interaction of the cards under the perspective of the signs “tasks” (i.e. sun: i am – justice with rising: i project – tower)? exactly – you can view each card through the lens of “i am” or “i project” etc. seeing all four cards together and paying attention to how they interact can give you a fuller picture of what aquarius season has in store for you. Ohhh thank you for this. I am extremely Gemini, but Aries rising, and this reading is exactly where I’m at right now. Both your readings and my own were pointedly, annoyingly accurate; all of the things I’m trying to ignore came up in my cards today, naturally 😂 Like, every time I drew a card and plugged it in, I was like, OKAY. I GET IT. I avoid conflict and don’t communicate, but I’m on the right track with the work I’m doing to improve and I’m remembering what it’s like to have feelings even when it’s overwhelming. Going to be doing some journaling about that for sure! 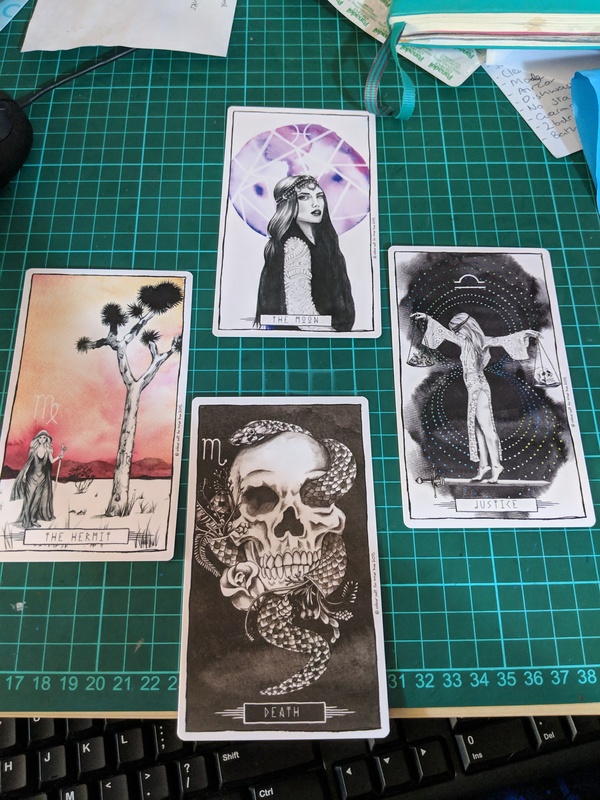 Love the Tarotscopes! Thanks so much! Gave me the strength I needed to face the difficult time I’m experiencing. I have been obsessed with your IG lately! 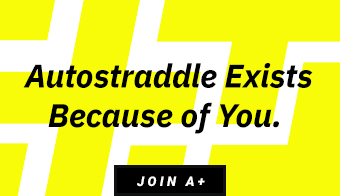 So happy to see you writing here on Autostraddle. This was so great and I’m excited for more! Meg I feel extremely personally called out by the Pisces reading and I love it. 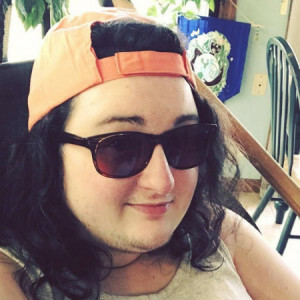 Meg! The constellation cards are so pretty! 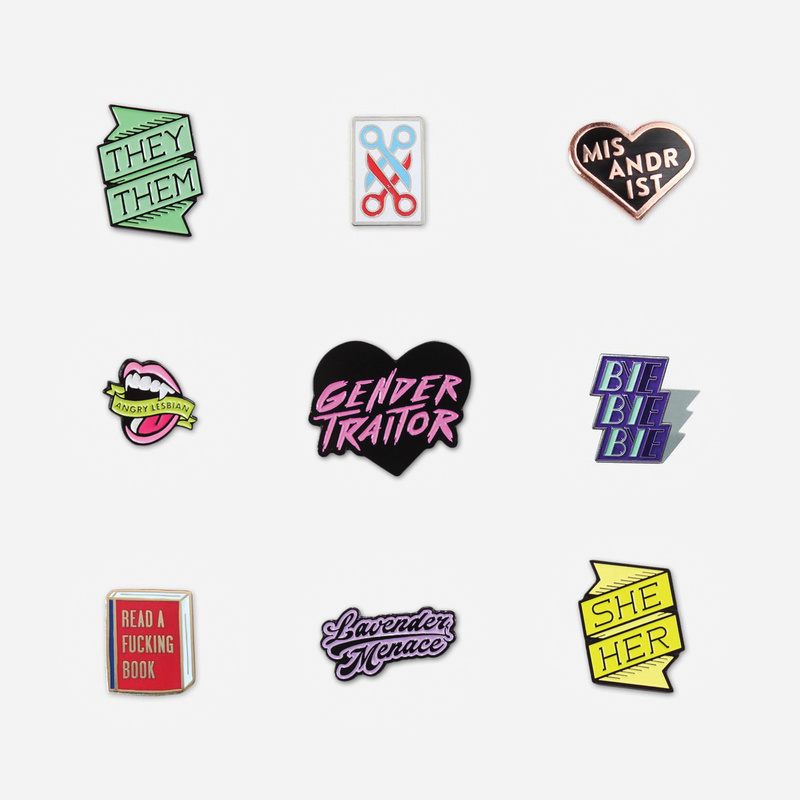 I’m so happy you’re sharing your knowledge with all of Autostraddle, and as a Gemini I am having an internal temper tantrum because I want everything all at once right now, even though I know I need a lot of time to plan.